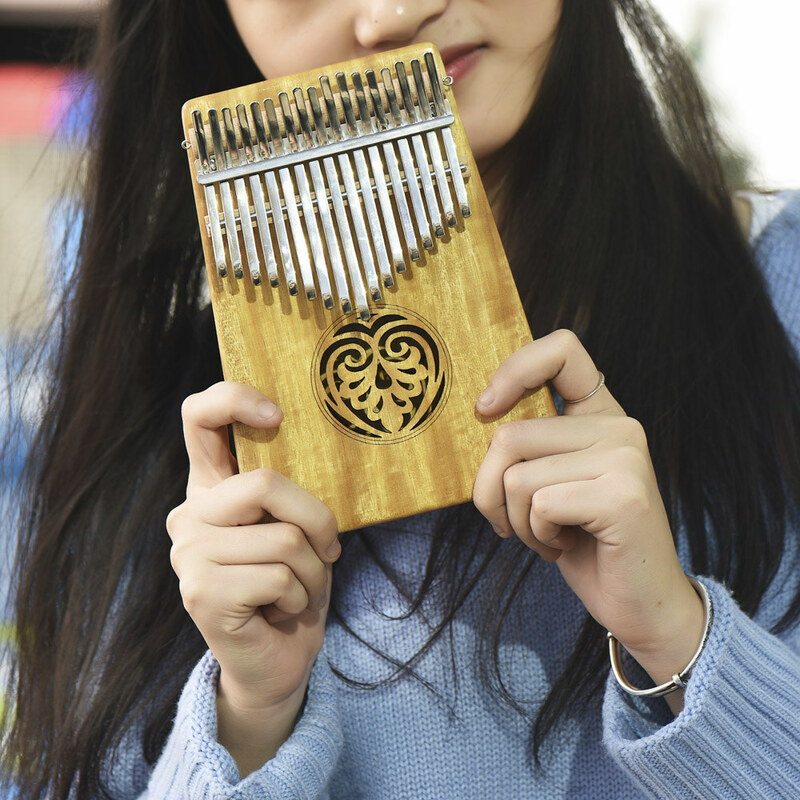 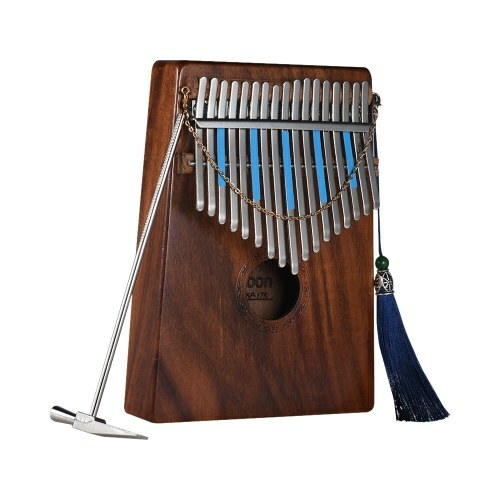 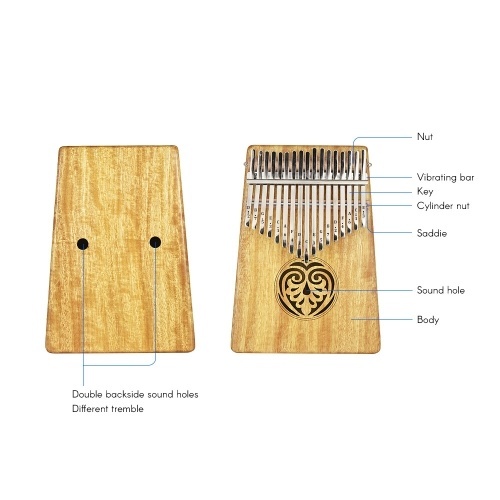 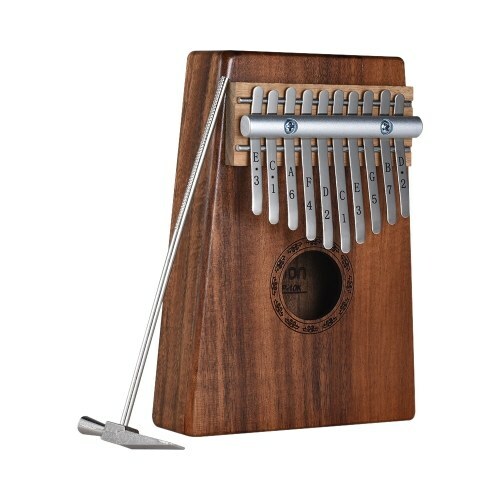 Kalimba is a modern version instrument of the African mbira, and it is also known as Thumb Piano. 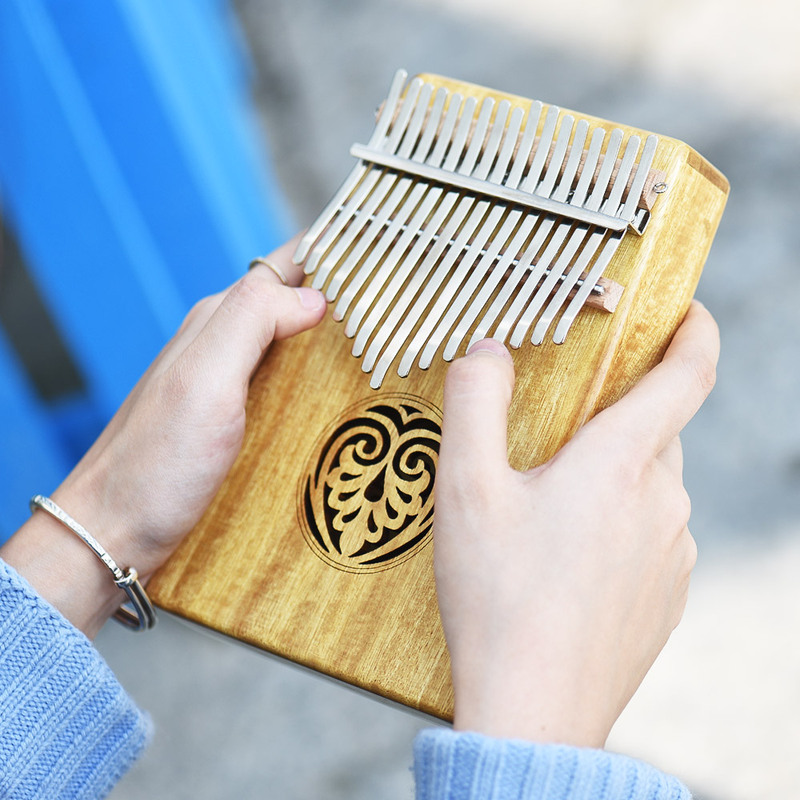 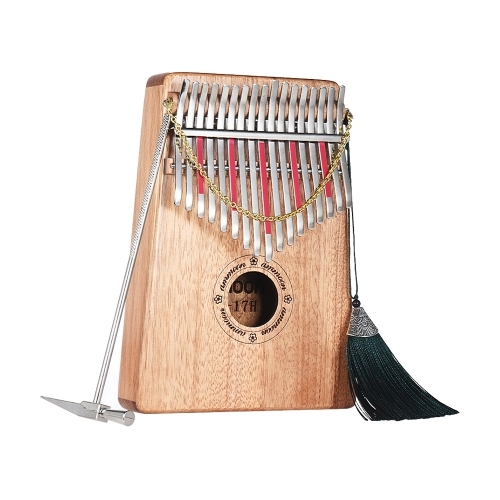 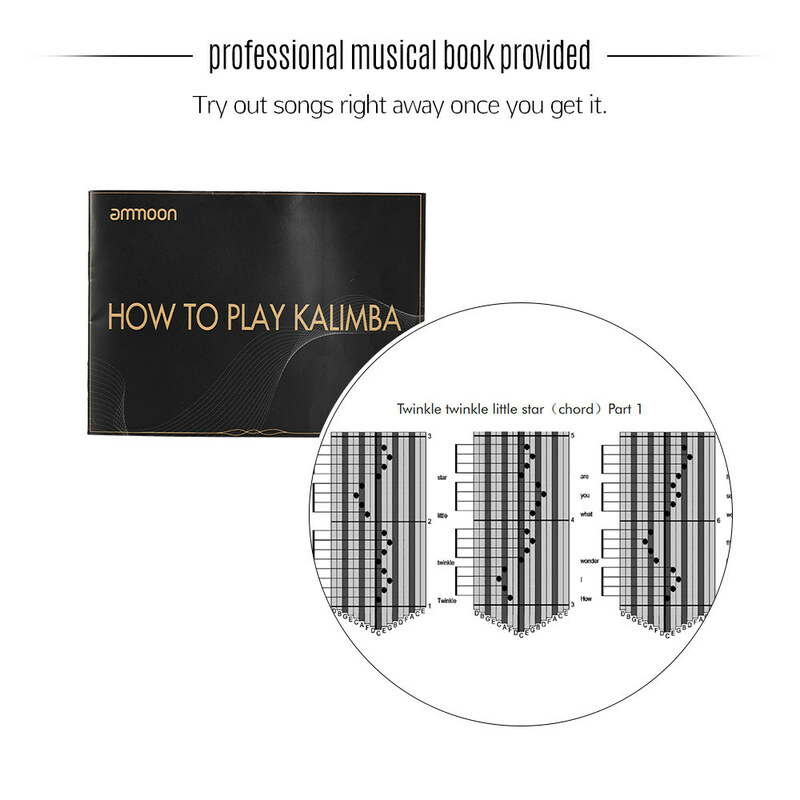 Kalimba can be a solo instrument or as an accompaniment to singers, musicians and dancers. It is consist of a wooden board (often fitted with a resonator) with attached staggered metal tines, played by holding the instrument in the hands and plucking the tines with the thumbs. 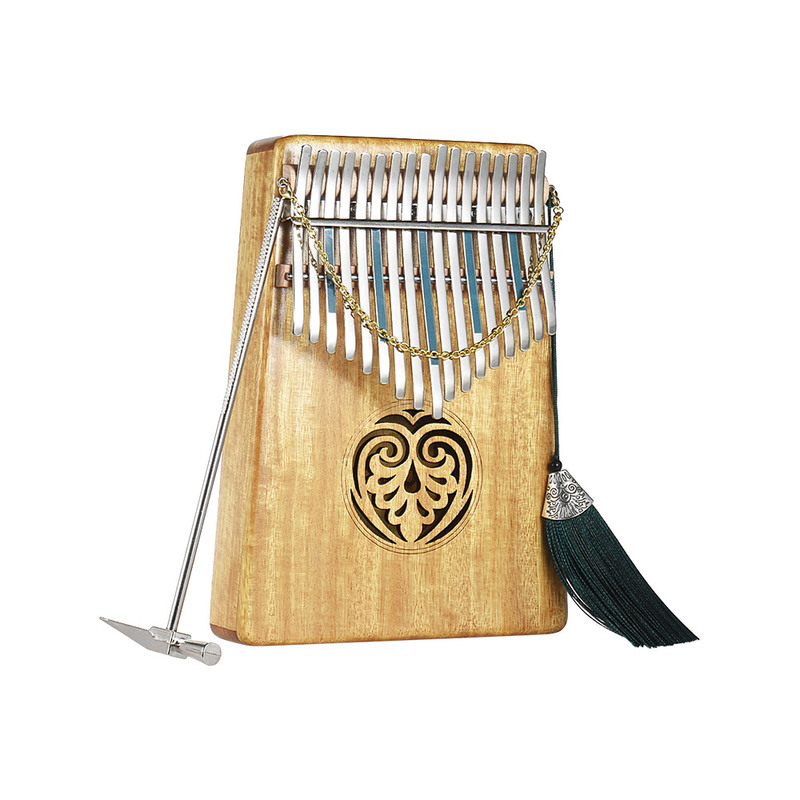 Very suitable for travel entertainment, religious ceremonies, weddings and other social gatherings. 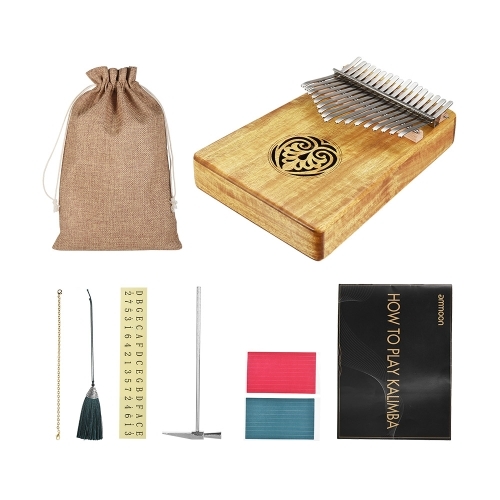 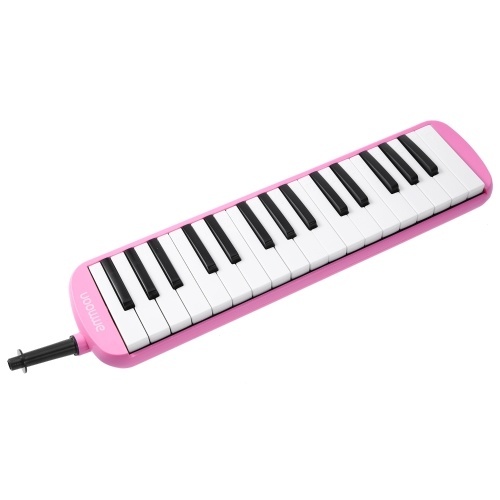 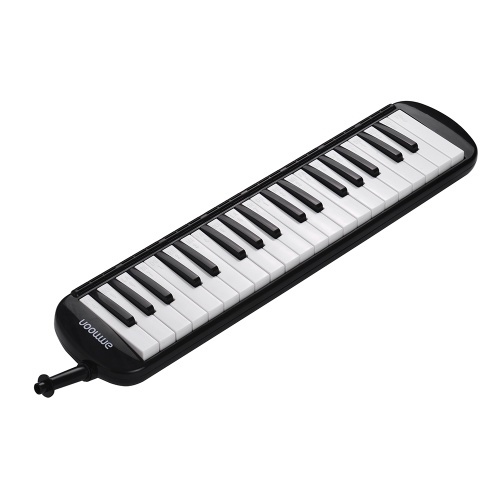 Made of high-quality solid African Piano wood with 17keys adjustable carbon steel tines, providing more bright and clear timbre, longer sustain and comfortable touch feeling. 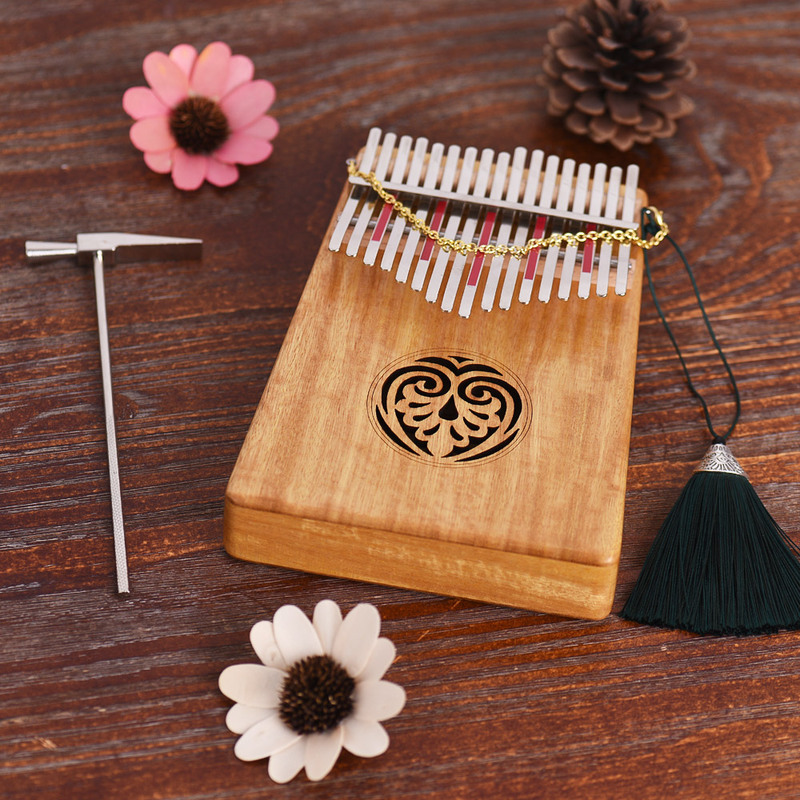 This kalimba is a real musical instrument that will amaze you! 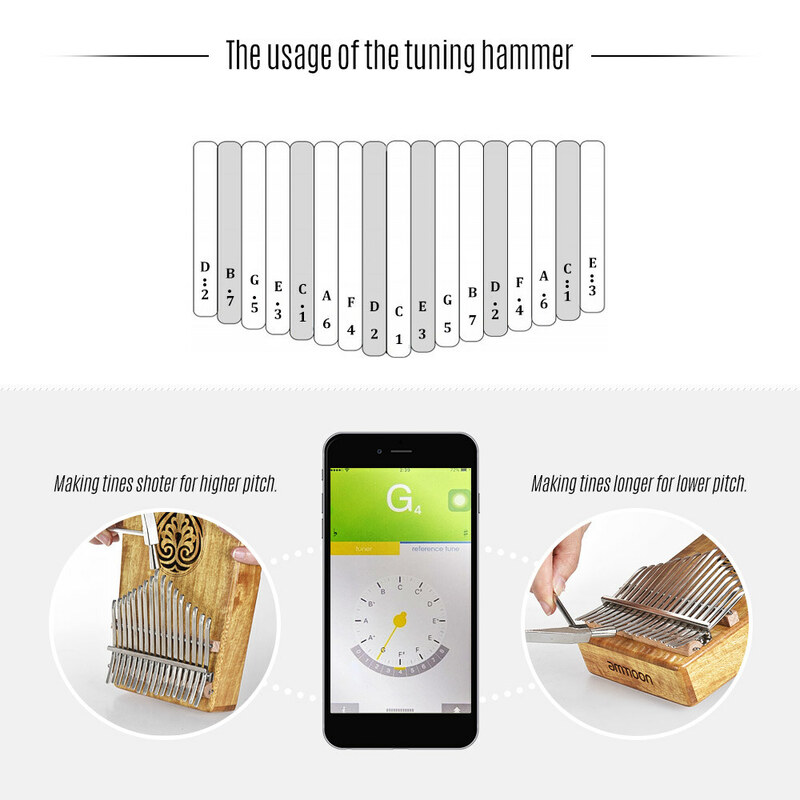 International standard C tune design, the corresponding tunes of the carbon steel tines are 1(D), 2(B), 3(G), 4(E), 5(C5), 6(A), 7(F), 8(D), 9(C4), 10(E), 11(G), 12(B), 13(D), 14(F), 15(A), 16(C6), 17(E)(from left to right).